Create memories to treasure at a gorgeous venue that is decorated to your taste. At Tailor Maid Events, our friendly team of designers offer party decorations and event accessories for your sentimental occasion. Enhance your stylish party venue with our beautiful balloons, table confetti and table cloths. Not only do we dress your venue in dazzling decorations, but we also provide items such as a stunning ferris wheel and lovely cake stands to ensure your guests eat plenty of yummy sweets. As part of a reputable events group, we are able to arrange catering or advise you on the best catering companies to use, making sure to follow all your dietary requirements. Make your event memorable with our stunning decorations. 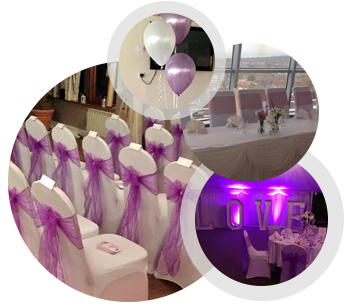 We create the perfect atmosphere for your special occasion, whether it is a birthday, christening or special party. We are able to provide venue decoration for small corporate events, please feel free to contact us for further details. Prior to your party, we will come visit you in person to discuss the details, then after the event to ensure you are happy with the outcome. In 2016, we are starting to offer our services for children’s parties. Treat your little ones to fantastic children’s parties that are bursting with fun. In the special interest of the little ones, we offer package deals that include plates and napkins as well as candy floss, popcorn, face painting, and glitter tattoos. This will be available at a set price per number of children. We are able to cater for all dietary requirements. 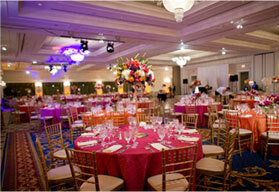 Reduce stress that comes with organising any event by allowing us to take care of the details. Take advantage of our free consultation service to receive the best value for money and delight in our affordable service. As with our weddings, each service is priced per job as the cost depends on individual requirements. Put your trust in our highly praised company to receive a quality service. With a five-star rating on Facebook, we constantly receive positive feedback from our clients. In order to secure the booking just a small deposit is required, with the remainder approximately four weeks prior to the event. Alternatively, some clients wish to obtain decorations from us for do-it-yourself projects. Contact us to obtain more information about our stylish party decorations and event accessories. Copyright © 2019 Website Design by IDEAFoundation.